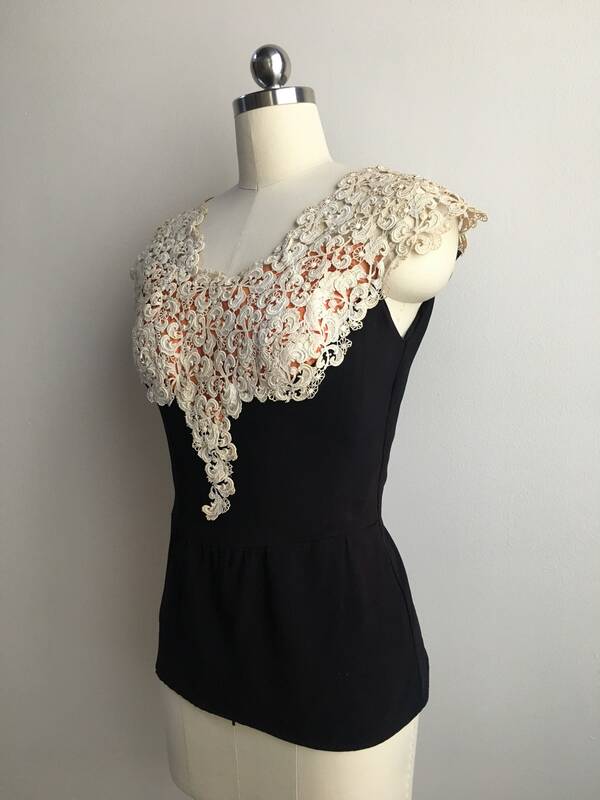 Vintage 1940s women's black cap sleeve blouse with white lace collar, orange lining and peplum detail. Great vintage condition; light wear from age and use. 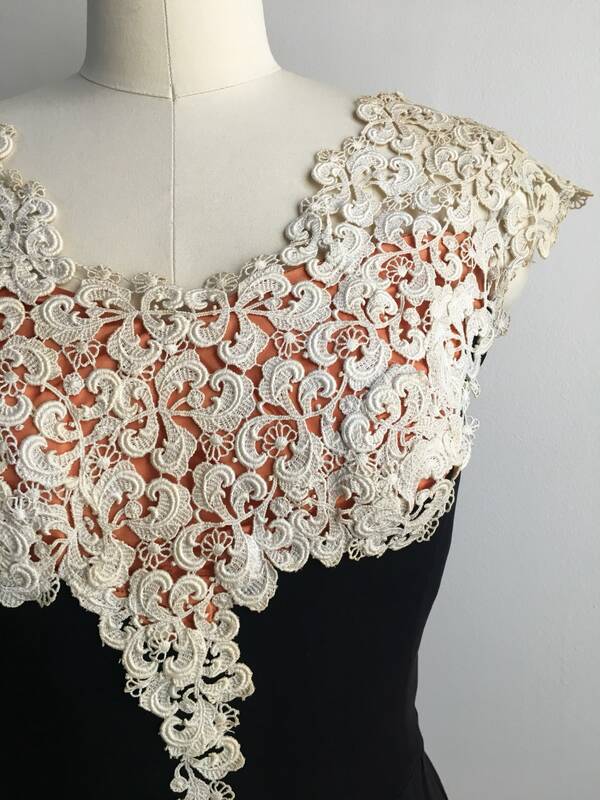 Some light discoloration and repairs to lace (see photos). Some light wear to black crepe acetate. No other visible flaws to note; no holes, rips, tars, stains, markings, areas of discoloration (other than noted), open seams or excessively worn areas. 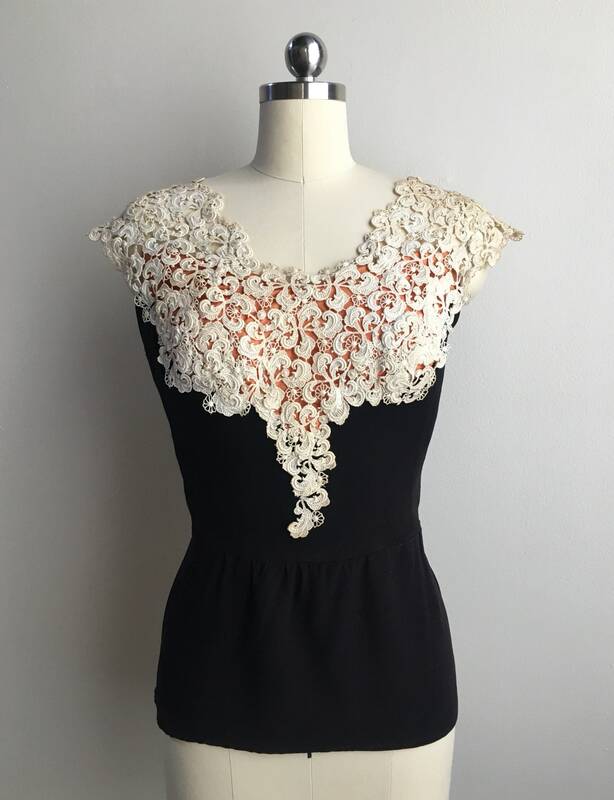 Beautifully placed white floral lace on upper part of blouse that extends to top of shoulders forming cap sleeves. 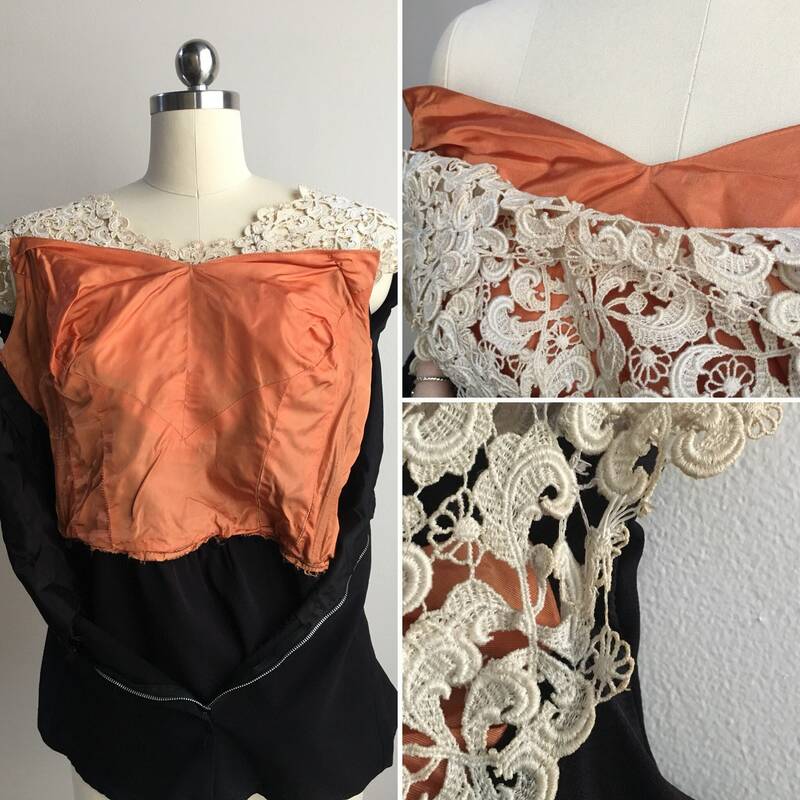 Lace is tacked to orange lining on front of bodice, attaches to black crepe just underneath bust line and ends in a somewhat pointed shape just above waistline. 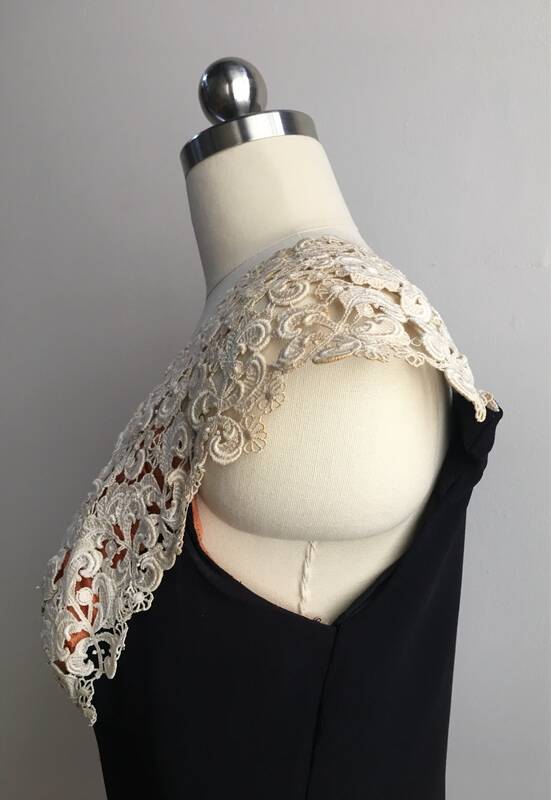 Lace is attached to back panel near shoulders (see photo). 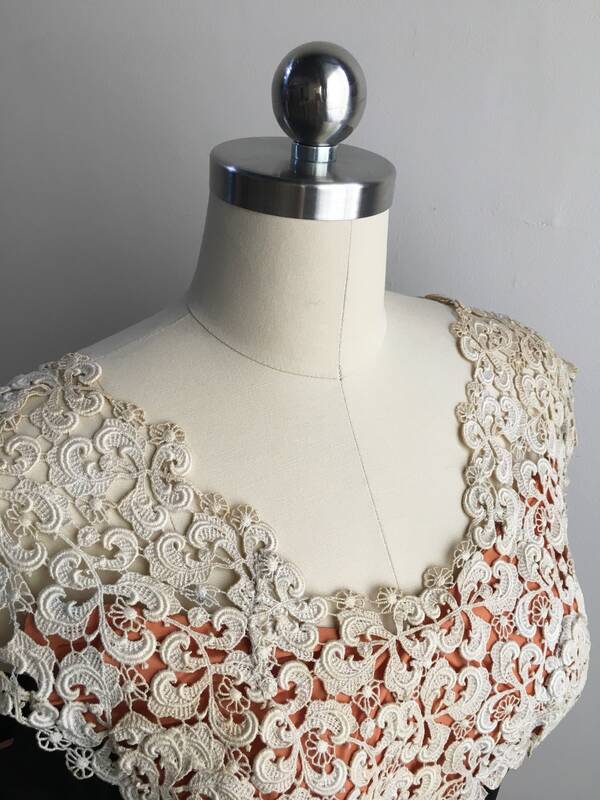 Orange lining can be seen through lace and only exists on front of blouse. Orange lining feels like a poly satin blend. Boning exists inside orange lining near side seams. 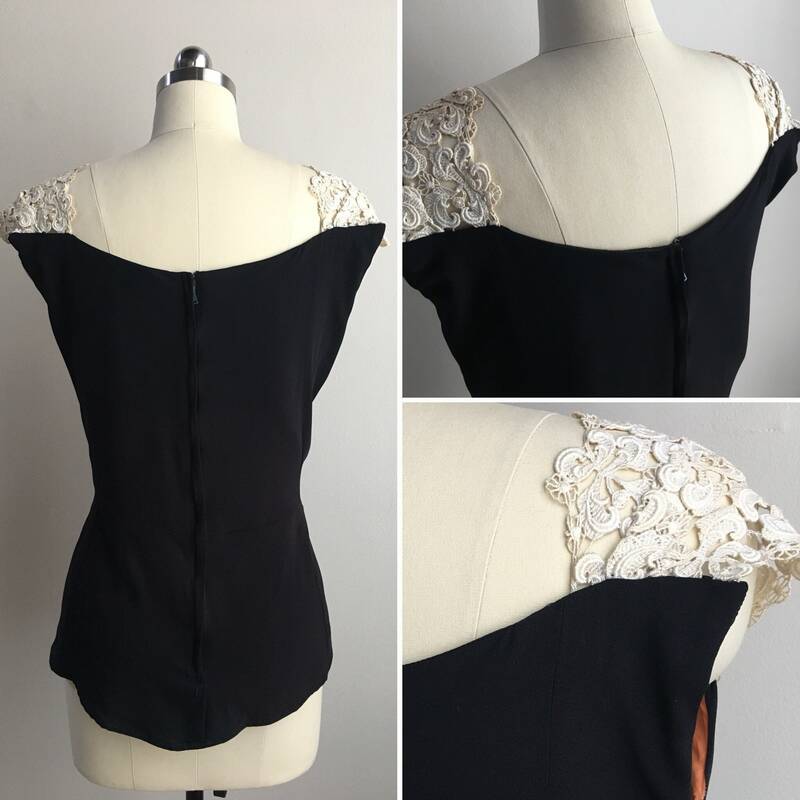 Peplum panel attached at waistline. 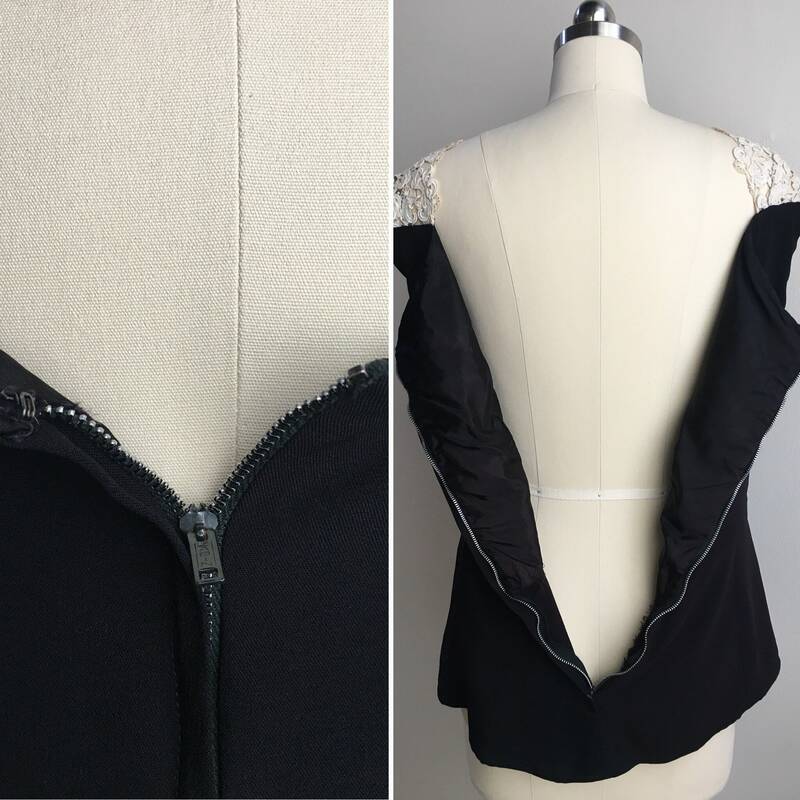 One hook-and-eye closure at top of zipper. Metal zipper down center of back; zipper is in great working condition with no issues. No brand tag or label inside. Possibly handmade. 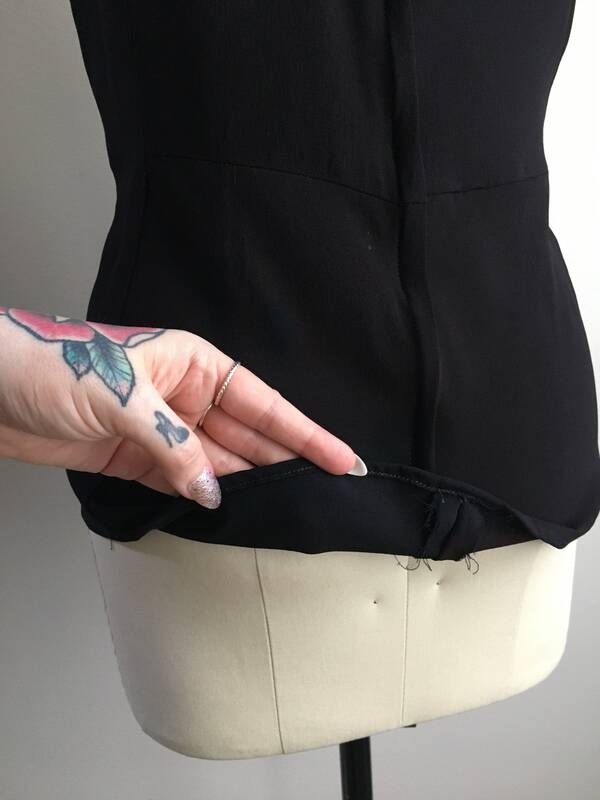 Blouse is larger size than mannequin; blouse is pinned to fit mannequin. 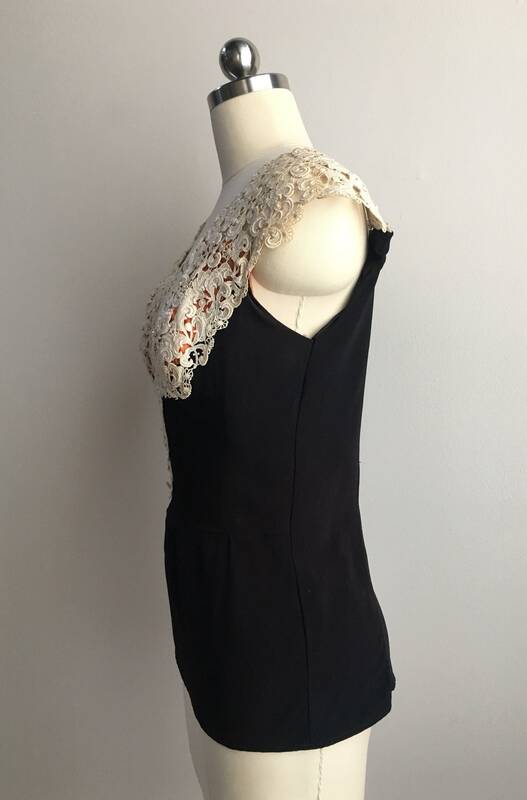 Shown on modern size 4 mannequin with these measurements: 33.5" bust, 25.5" waist, 34.5" hips. Side seam, underneath arm: 15"